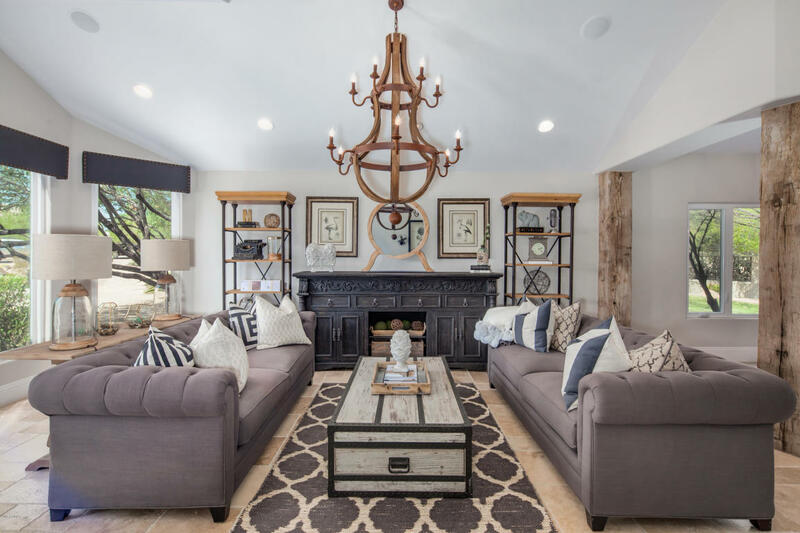 Remodeled gem with a farmhouse style flair. Situated on a private acre lot with fabulous outdoor entertaining and room to play. Light, bright and neutral, this home is the envy of all who see it. Wood and tile flooring, Restoration Hardware lighting and fixtures. Open floor plan with spacious great room has easy access to the back patio, BBQ, pool and spa. A giant master suite features sliding doors to balcony with mountain views along with a delightful sitting area with coffee bar and fireplace. Custom reclaimed barn wood sliding door leads to elegant master bath with his and her closets, large shower and soaking tub. 4 large secondary bedrooms provide flexibility. 3 car garage + outdoor designer shed with separate A/C for storing extra toys.